This weeks Sunday Studio Visit is a little belated because I wasn’t actually in the studio – I was in Canberra, the Australian capital!! 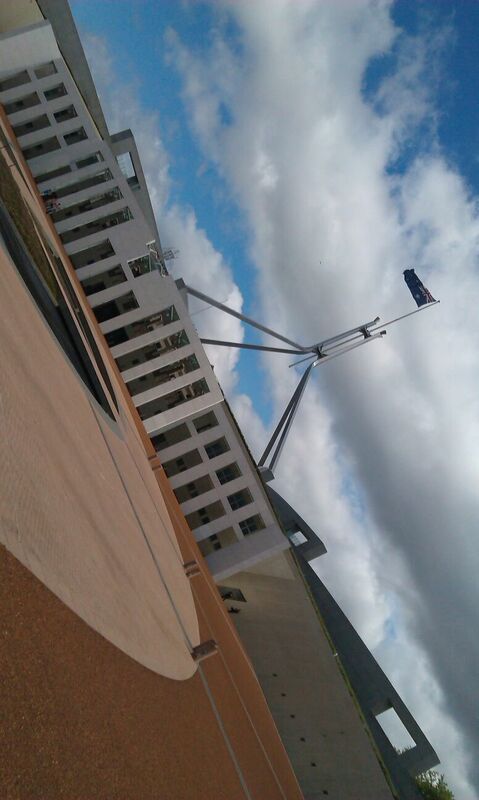 I had never actually been to Canberra before, so was pretty keen to see parliament house the National Gallery and anything else in between- so lets put the road trip down to professional development! 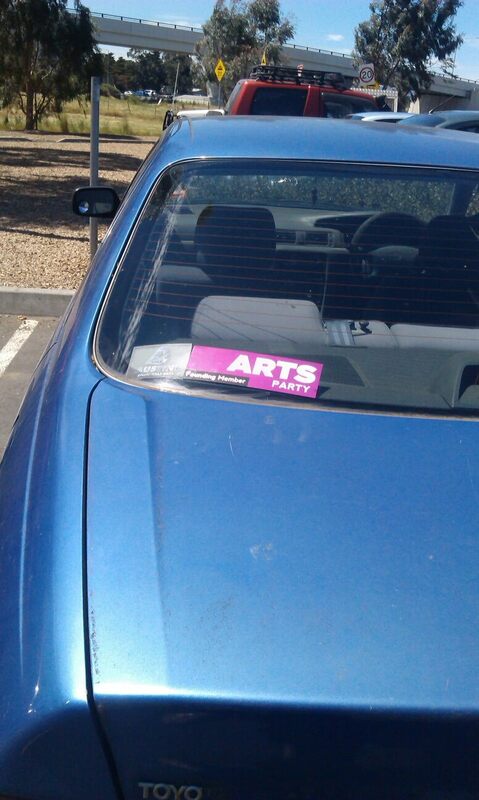 One thing I did do before leaving was to make sure my Arts Party- Founding member sticker was on my car!! The Arts Party is the latest political Party to be registered …. I have always been very political (vegetarian feminist socialist – yikes, what a combination!) yet this is the first time I have ever been a financial member of a party!! AND I certainly wanted to spread the message in the nations capital! The main reason, however, for the sojourn was to visit the National Gallery (NGA) where an Arthur Boyd exhibition is currently being held entitled Agony and Ecstasy. Arthur Boyd is an iconic Australian artist who came from an iconic Australian artist family – his father, Merric Boyd, is known as the ‘father’ of studio pottery in Australia. While Arthur did do some ceramic work, his main medium was painting. I love his work! For some it can be dark and depressing, however, for me it is the expression and acknowledgement of this futility which ironically suggests hope via a working through of emotions and ideas. For those familiar with my poetry blog you will know what I mean 🙂 The exhibition was fantastic and I am glad I went… seeing original art is certainly different to viewing images in a book!! Of course, pictures are not allowed to be taken of artworks within galleries, however, the NGA also has an outdoor sculpture garden, so I was able to take plenty of pictures in the garden! 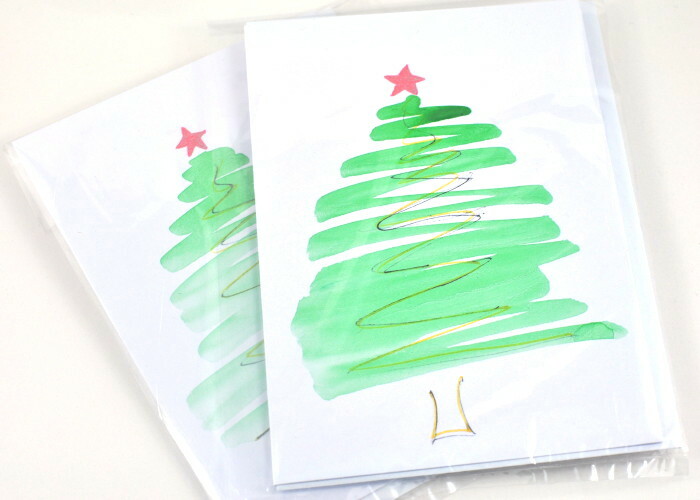 That means if you would like to order from my Etsy shop you need to do so as soon as possible to ensure pre Christmas delivery. 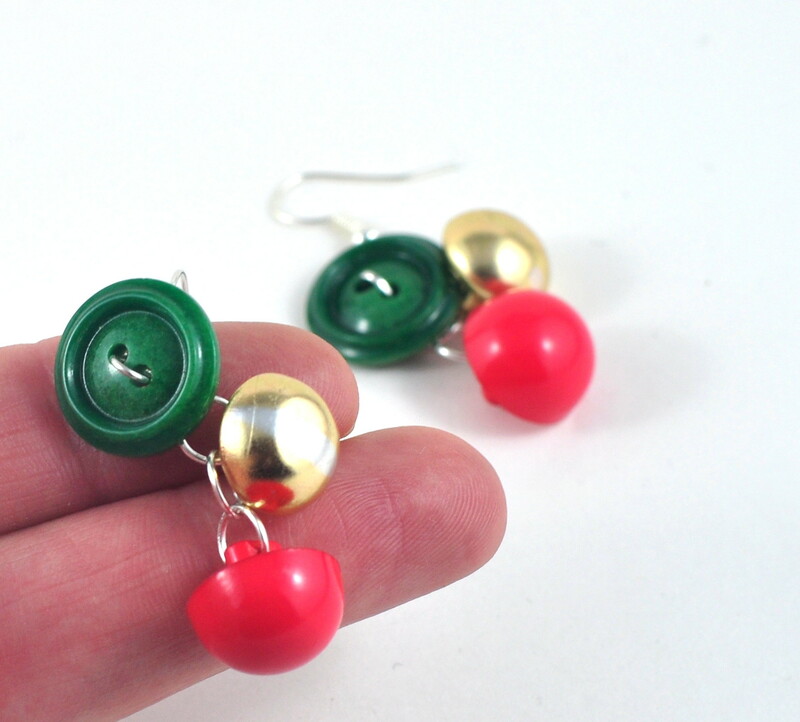 As well as my usual handmade and unique jewellery and tableware products, I have also added some Christmassy items to the jewellery and cards sections of the shop. 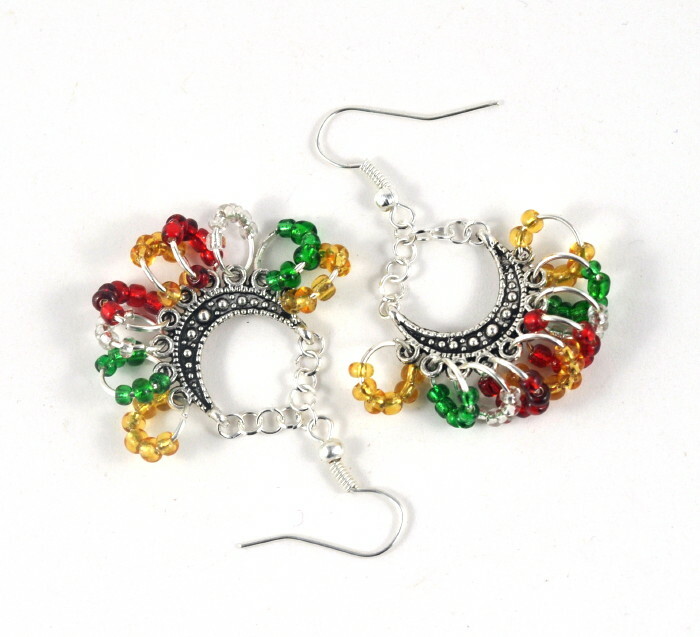 The handmade earrings are in Christmas colours and the cards are hand painted on gift card stock, which includes an envelope and a protective cover. So give a unique and individual gift this Christmas and support handmade 🙂 MERRY CHRISTMAS! As some of you may know I am currently living in East Bentleigh – temporarily. Although I originally come from Melbourne, I have lived the past twelve years in a semi rural environment, so my current location feels very different.Many suburban streets of Melbourne are lined with Australian paper barks, planted enmass during the 70’s probably as a reaction to European trees, and that Australian natives are low maintence, so easy for council, or so they thought. 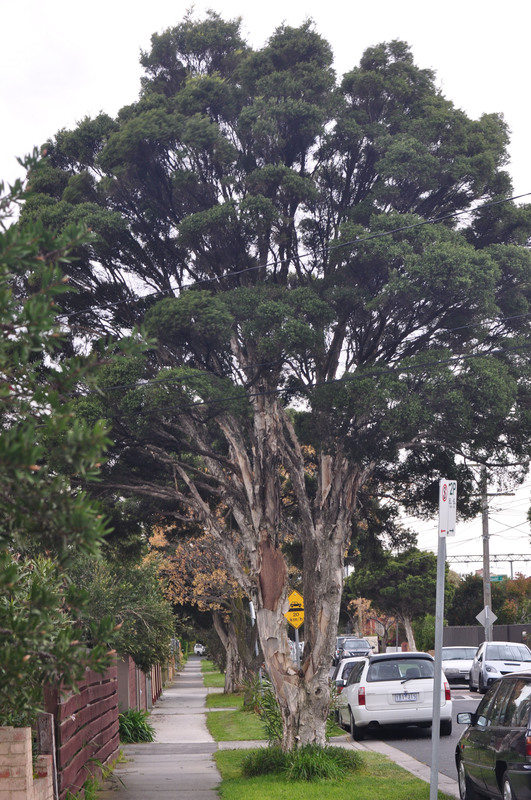 Of course now we have tall trees interferring with telephone wires, climate change, drought and bushfires… hence trees are awkwardly trimmed enmass! 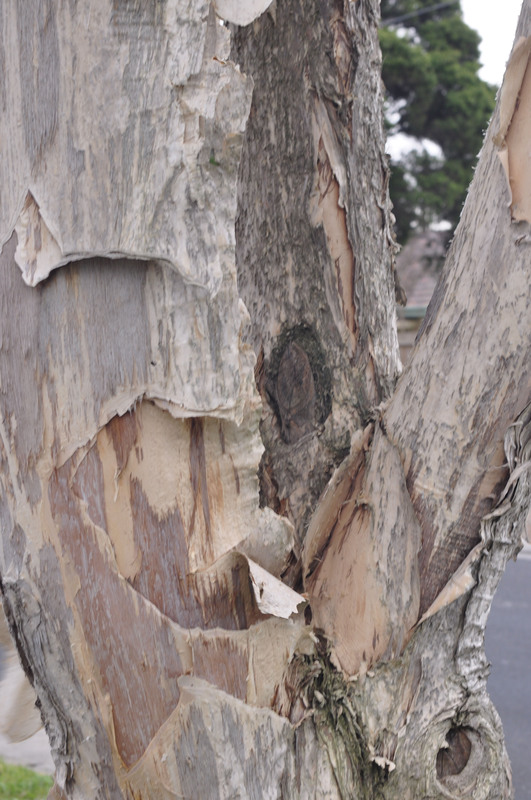 That aside, I am enjoying walking around the urban streets – with my dog, Eddy – and collection bits of urban emphemera, including bits of paper bark that have blown off the tree trunks. So, I thought I’d have a go at painting on some. 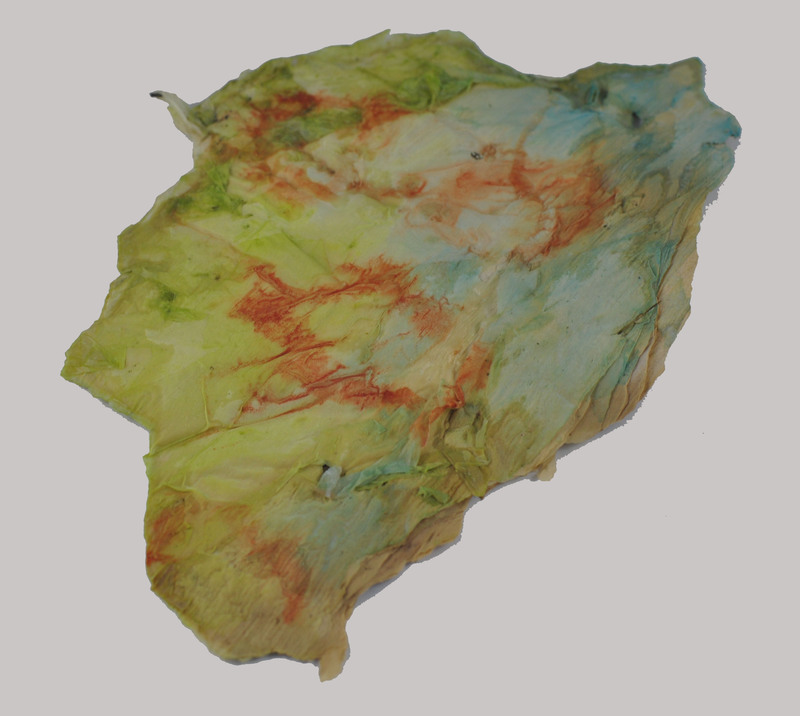 Below is my first effort – a watercolour abstract. I think I will experiment a bit more tomorrow.